On the eve of the women’s hockey under-21 national tournament, Charles Darwin University’s Simone Liddy can’t wait to pit her skills against Australia’s best emerging young talent. Simone, a fourth-year Bachelor of Pharmacy student, was named recently as the Captain of the Northern Territory Women’s Hockey Team as a part of the upcoming national women’s under-21 championship to be held in Hobart in July. The Territory hockey star and past Northern Territory Institute of Sport scholarship holder has represented the Territory at a national level without fail since primary school. “It’s going to be a tough task, but at the same time a challenge that the team is really looking forward to,” Simone said. “We’ve got a great young team this year and, because we’ve been competing together for many years, we combine well as a team. Simone was the first Indigenous Territorian to be awarded a pharmacy cadetship with the Department of Health and Community Services under the National Indigenous Cadetship Program. 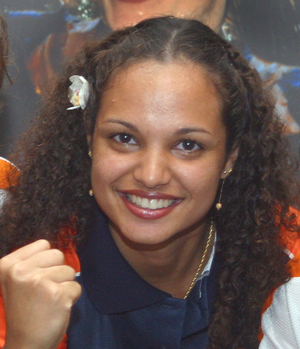 She also was named as the 2007 NAIDOC Youth of the Year and NT’s Young Australian of the Year for 2008, for her long-time academic achievement, athletic prowess and mentoring of Indigenous students. The Women’s Under-21 National Hockey Tournament begins on Tuesday, July 1.